Pra Somdej Gaes Chaiyo Pim Lek A Jet Chan (7 Tiered Dais) Ok Rong (split center torso)- 2531 BE Historical memorial Edition. The Pra Somdej Wat Gaes Chaiyo Edition of 2531 BE is known as the 'Run Prawatisat' meaning 'Historical Edition' and marked yet another commemorative special edition to preserve the Dtamra Pra Somdej begun by the Great Somdej Pra Puttajarn (Dto) Prohmrangsri of Wat Rakang Kositaram more than a Century and a half before. 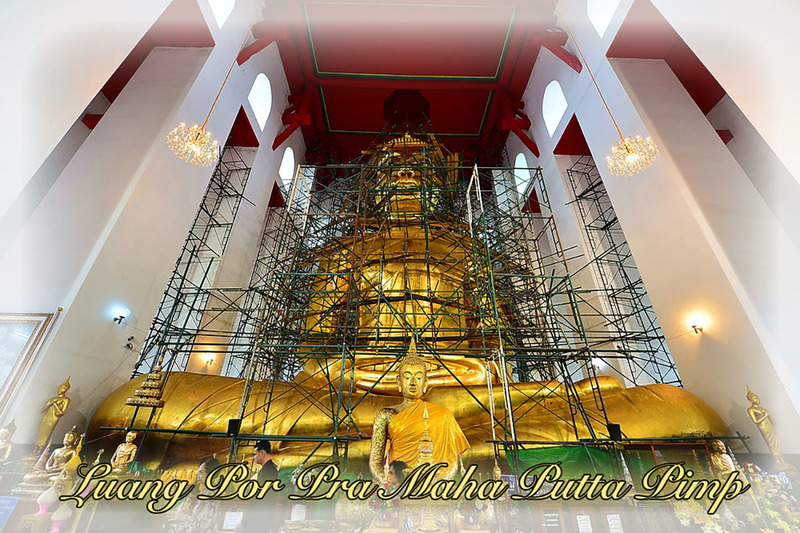 This edition is a very highly preffered edition, due to its extremely Auspicious and Sacred relation to successful completion of the Gold Coating of the Giant Buddha Statue (Somdej Pra Maha Putta Pimp Luang Por Dto), which was built by Somdej Pra Puttajarn (Dto) Prohmrangsri during his lifetime. Somdej Pra Puttajarn (Dto) Prohmrangsri Built the large Buddha statue of Luang Por Pra Maha Putta Pimp, more than 100 years ago, and it was covered in lacquer, and Solid Gold. Then, many years later,in the year 2470,The then abbot of Wat Gaes Chaiyo wanted to renew and restore the Buddha Statue, by re-lacquering and re-covering the image with a new gold coating. He had all the lacquer and gold removed from the statue and intended to raise funds to recover it with a new coat of gold. But he sadly passed away, before he could complete his mission. From then onwards until the time of this edition, the statue remained without a new covering of gold. Nobody had attained the merit or devotion to perform this task, until the year 2531 BE, when the current abbot of the temple at that time, 'Pra Wisit Nimmaanagarn (Luang Por Chalaem Jantawanno), began the task of covering the Luang Por Pra Maha Putta Pimp with gold. 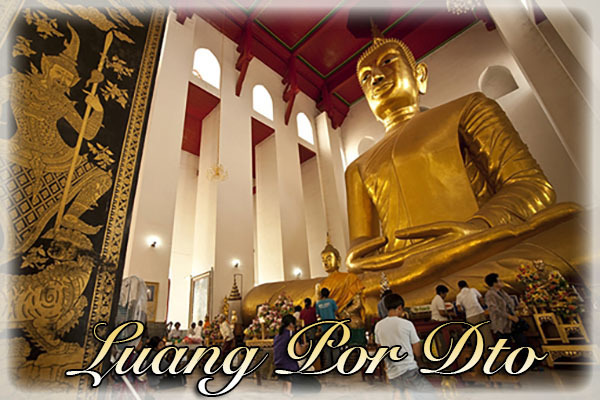 It is said that this happened because a Miracle occured; It is believed, that Luang Por Pra Maha Putta Pimp sent a wave of communication to Dr. Thalerng Hlao Jinda, a faithful devotee of Wat Gaes Chaiyo, and caused him to go and tell the abbot and complain to him, that the statue had still not been recovered with gold since a long time. So, the abbot and Dr. Thalerng, along with many State Officials, Wealthy Merchant Devotees and the help of the Faithful Common Folk of Chaiyo Municipality, Began the work and performed the ceremony of 'Long Rak Pid Tong' (lacquer and gold covering)of the Buddha statue. Before this began, they had to remove all the old fragments of gold and herbal lacquer which were still remaining stuck on the statue from the original coating from Somdej Pra Puttajarn (Dto) Prohmrangsri. As this gold and powder residues were being removed, the abbot of Wat Gaes Chaiyo had a Nimitta vision of Somdej Pra Puttajarn (Dto) Prohmrangsri, who appeared to him and said, that these residual gold and powder fragments, should be taken to make Pra Somdej amulets and released to the devotees. The gold was to be used for the solid gold versions, and the powders and broken lacquer fragments should be used for the Sacred Powders of the Pra Somdej. The abbot then discussed this with the Gammagarn comittee* of the temple of Wat Gaes Chaiyo, who agreed to create and release the Historical 'Prawatisat' edition. They chose the name of 'Historical' (Prawatisat), for the edition, for the obvious reason that this was the first and only time in History, that powders from the Giant Luang Por Pra Maha Putta Pimp (Luang Por Dto) statue were to be used for the sacred powders of the amulets. 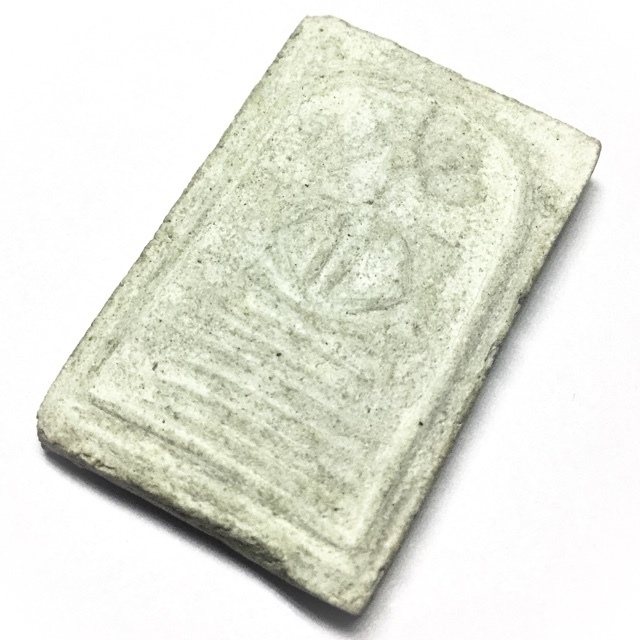 This is hence the only edition of Pra Somdej Wat Gaes Chaiyo amulets in the whole history of Wat gaes Chaiyo which possess pieces of the Buddha Statue of Luang Por Dto Pra Maha Putta Pimp within their Sacred Muan Sarn Ingredients. This is considered hence to be a very sacred edition with very high Buddhakhun Magical Power to transform your life with Miraculously, thorugh the Sacred Muan sarn within the amulets, which are considered to be extremely sacred and Powerful through this connection with the Luang Por Pra Maha Putta Pim Statue of Luang Por Somdej Dto Prohmrangsri. Two fallen pieces of the statue were mixed in to the amulets from. two occasions (in 2521, when some repairs were made, and this occasion in 2531). The abbot of Wat Gaes then prayed to Luang Por Pra Maha Putta PImp, that if and when the designs block presses for the edition were completed, that the statue should show a further miracle by shedding some pieces of itself, for further usage as Sacred Muan Sarn for the making of the amulets. It appeared then, that just before the statue reparations were completed, the statue unexplainably shed 47 more pieces of fragments of itself, which were subsequently also added to the Muan Sarn for the amulets. The Sacred Buddha Abhisekha (Opening of the Eyes of the Buddha) was held and performed on the 20th of October 2531 BE (the tenth phase of the 11th Monbth of the Lunar Calendar), with 108 great Master Monks invited to perform the Chanting of the Dhamma Chakra, including Somdej Prayan Sangworn (Sangkaracha R.I.P.) nthe Abbot of Wat Bovornives, the Royal Palace, and Head Monk of the Thai Buddhist Sangha also present, to perform the lighting of the 'Tian Chai' Victory Candle. * "Gammagarn Comittee", means the appointed Lay Personell, who undertake the worldly takss and money raising affairs and banking accounts of Buddhist teples, for indeed, it is not allowed for Monks of Purity to possess or control large amounts of funds through their own personal control without transparency or supervision from the Official Organism of the Buddhist Sangha. This is not evident in smaller temples, for which reason we sometimes also see the problems which have been seen to arise in modern times, where monks of lesser purity and impure intentions have laundered temple funds and donations of the faithful devotees for their own personal uses, (and abuse). For this reason, we also recommend that you do not ever just donate money to Buddhist Monks, without passing them first to an official body for administration, and that any requests for donations from monks or temple abbots if you visit any smaller temples, should be responded with a request to see the Gammagarn comittee, and donate it with reciepts of the donation signed from such a comittee office. This is the best way to protect and nurture the Buddha Sasana. Recommended Uses:Buddhanussati, Auspicious karma, Klaew Klaad, Kong Grapan Chadtri, Maha Lap.